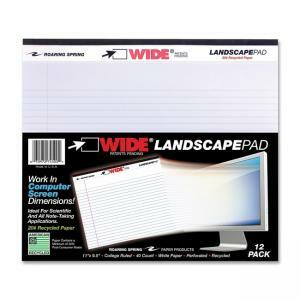 Media Size: 11" x 9.50"
Landscape format writing pad works especially well in digital environments. 20 lb. 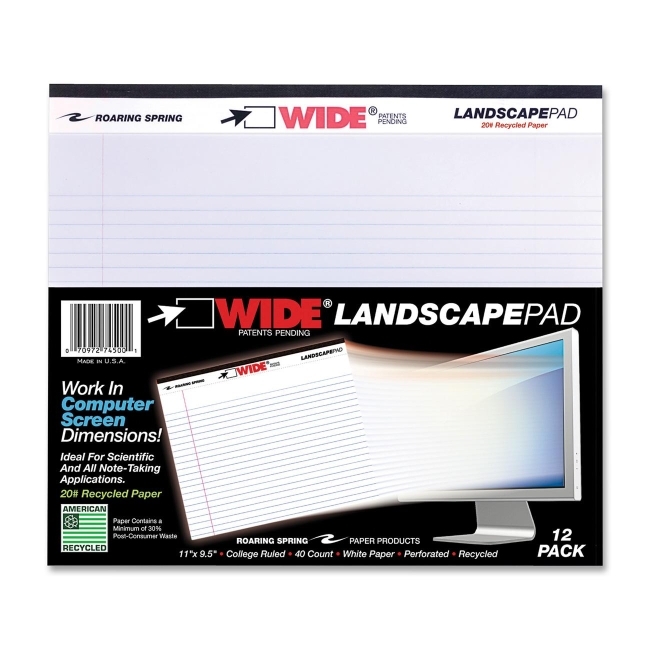 premium paper enhances note-taking experience. Includes 40 college ruled (9/32" between lines) 11" x 9-1/2" sheets. Contains post-consumer recycled material.